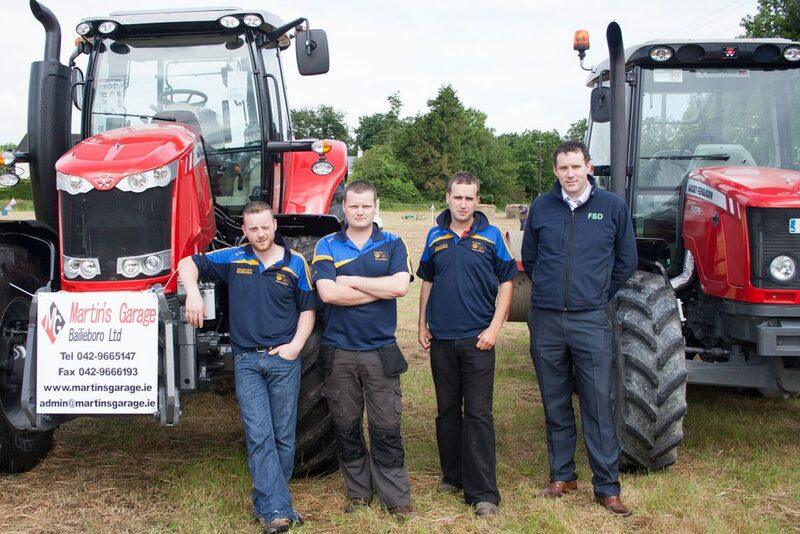 Johnny O'Brien, Pat O'Brien and Darren Higgins of Knockbride Macra, Co. Cavan with FBD representative, Adrian Grimes. Moynalty Macra from Co. Meath and Knockbride Macra from Co. Cavan have qualified for the FBD Farmskills national final in August. They join Kilmeen Macra from Carbery, Co.Cork and Whitechurch Macra, Seandun, Co. Cork at the national final. The Cork clubs qualified at the Cork Summer Show in early June. 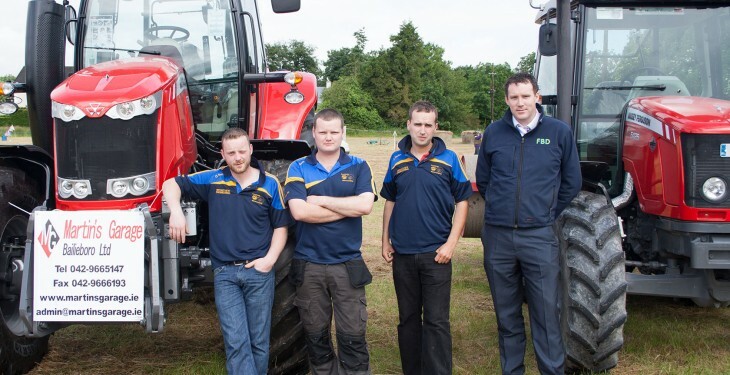 The second of the three semi-finals for Macra’s FBD Farmskills Competition took place on July 4 at the Bailieboro Show. 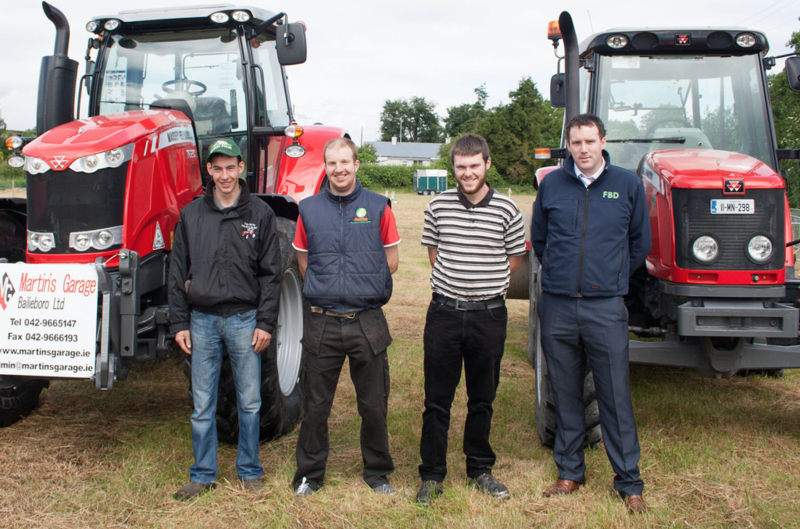 The national final for the FBD Farmskills will take place at the Tullamore Show on August 9. The competition, which is sponsored by FBD, is designed to test proficiency in several aspects of farm skills, from tractor skills to fencing, the organisation says. The aim of the competition is to help young farmers to develop various farm skills and techniques. These skills and techniques are designed to create greater awareness of farm safety and to demonstrate to the public the skills and techniques required in modern farming, the organisation says. The semi-final was contested by South Roscommon and South Galway. Meanwhile, Macra na Feirme, in association with AIB, will host a Young Farmers Positive Forum on July 22 in Birr, Co. Offaly. The forum is designed to equip young farmers with essential insights and information to steer their farming careers in the right direction. The forum is part of Macra’s Young Farmer Skillnet, and a variety of experts and facilitators will be on had to advise young farmers on how to be more dynamic and expert in their field.